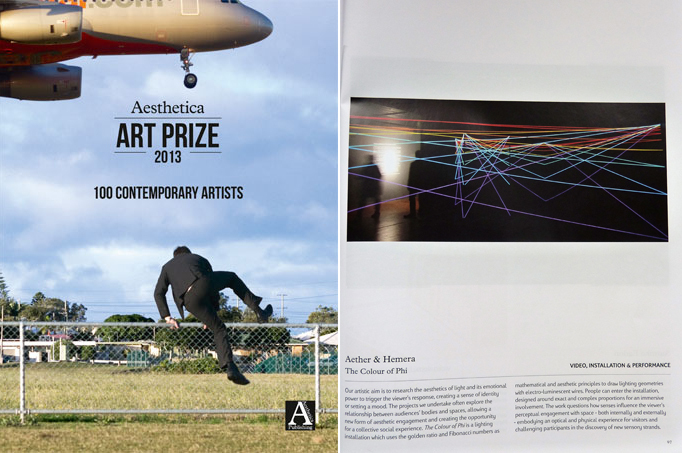 We’re delighted that we have been selected for Aesthetica Art Prize longlist and our piece, The Colour of Phi, has been seected to be published in Aesthetica Art Prize Anthology this March; given the sheer number of works entered - there were over 3,000 works entered! - this is an incredible achievement. The etymon of the word 'voyage' comes from Latin viāticum, which means 'provision for travelling'; the inspiration of this artwork is to allow people to travel and sail with absolute freedom to all the places we care to imagine. Paper boats bring us in voyages through childhood memories, wishes and imaginings. Paper boats’ on the water invite everyone to make a transition from reality to imagination, reliving childhood memories and embracing our freedom. Creating an unexpected and unusual addition to the landscape, Voyage inspires the viewers to think creatively about the spaces around them; the dynamic coloured light scenarios of the artwork invite the viewer to make a smooth transition between reality and daydream.